A broken window, whether in your home or office, is a threat to you, your property, and your environment. Crystal Windows recommends that you take swift action if your window is cracked or broken, as dawdling would only birth complications. Here are some of the reasons why a broken window needs to be taken care of immediately. A simple crack in your window weakens its structural integrity, making it easier to break. By not repairing your broken window, you are simply inviting burglars in. Good windows will prevent ultraviolet and infrared lights from breaching your home, which are harmful to your body, but also allow visible light to pass through. A broken window won’t offer you the same protection. Windows contribute to the beauty of your home or office. A cracked or broken one would only ruin that beauty. Windows offer insulation, thus helping your home retain warmth and cooling. A broken one makes for less effective insulation. A properly insulated home has improved energy efficiency and thus saves you much cost on air conditioning. A broken window takes away that efficiency and pushes up your air-conditioning need and cost. When you leave a broken window unattended, you risk letting pesky insects into your home. Many modern windows will proof your property against inbound noise. You lose that protection as soon as your window becomes broken. Broken windows are also a hazard to your health. Apart from the possibility of a shard bleeding your skin, there’s the issue of insect bites, winter frost penetration, and the dangers of UV light. Also, apart from the fact that broken windows can make you spend more on air conditioning, the treatment of health issues due to broken windows will also incur costs. 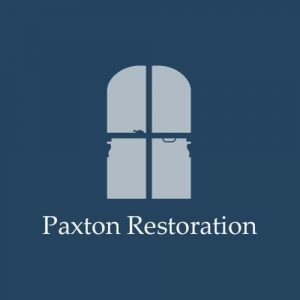 In repairing your broken window, you need quality hardware and expert fabricators and installers, as using inferior components or the wrong people may leave you with another broken or damaged window in no time after repairs. Crystal Windows can help you make the connection. Established to help people like you find all types of window company specialists, Crystal Windows, with its wide directory of traders, will link you to only the trusted window companies in any location in the United Kingdom. Crystal Windows has rigorously vetted all window companies on its directory. The vetting process involves a variety of checks—fraud, background, and credit checks inclusive. Every approved window company on Crystal Windows’ directory agrees to adhere to Crystal Windows’ immensely ethical code of conduct. Crystal Windows regularly updates its assessment of window companies on its directory. This means that approved window companies that don’t maintain quality in their services will be unlisted to protect customers. Crystal Windows also properly examines the customer reviews and ratings on the profiles of the window companies on its directory to ensure authenticity. Crystal Windows offers you all this and more. The provision of quality replacement window hardware like glass, window handles, frames, and more. The provision of exceptional already-made replacements for your broken windows. 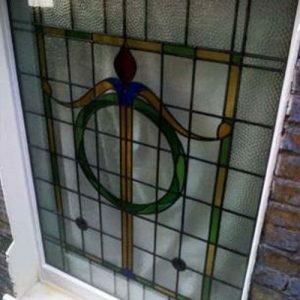 If the type or shape of the broken window is uncommon, the windows company on Crystal Window’s directory can build your unique design from scratch. The installation of replacements for your broken windows. Maintenance of your windows as well as the provision of expert advice on window maintenance. How to Choose the Right Window Company to Repair Your Broken Windows? Find window companies in your area using Crystal Windows’ trader search tool. Study their profiles to identify the ones that provide broken window repair services. Get an overview of their quality levels by comparing the reviews and ratings on the profiles. Prepare a shortlist of window companies with suitable services, reviews, and ratings. Give these window companies a call to get free quotes. Compare the quotes and then choose a window company that offers both quality and affordability through their broken window repair service. Don’t wait any longer. Search Crystal Windows’ directory to find a suitable trusted window service that will take care of your broken windows.